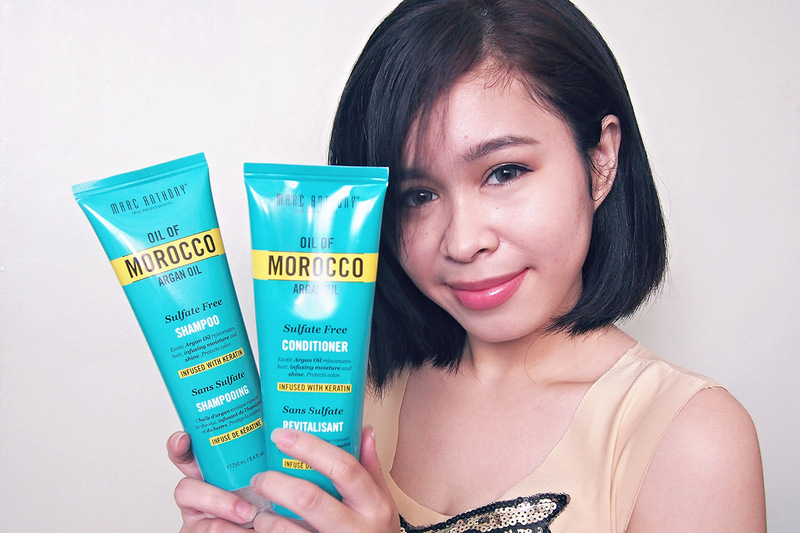 This is my first time trying out a product from Marc Anthony Hair Care line. 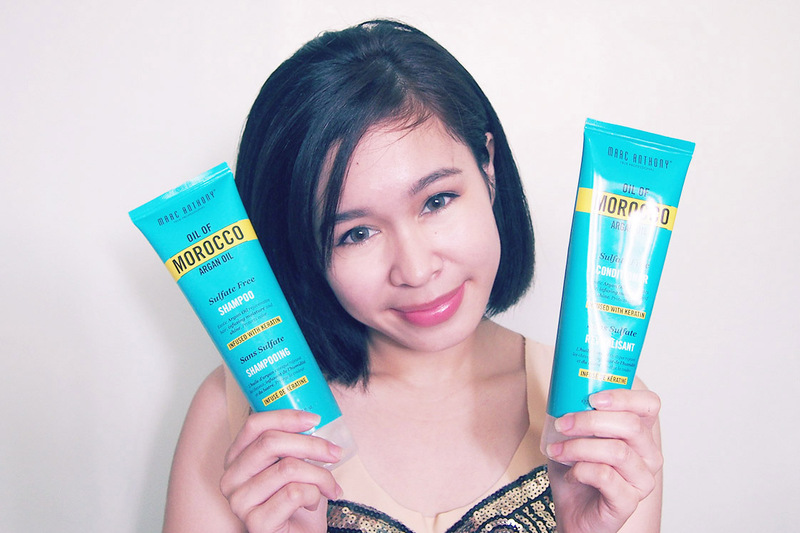 I’ve been using the Oil of Morocco Argan Oil Shampoo & Conditioner from Marc Anthony for a few weeks already. 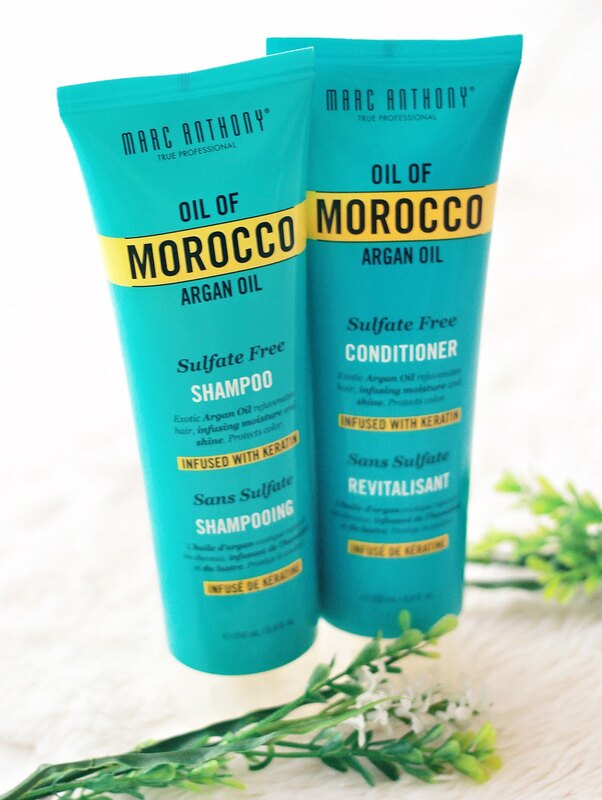 Marc Anthony Oil of Morocco Argan Oil Shampoo & Conditioner. 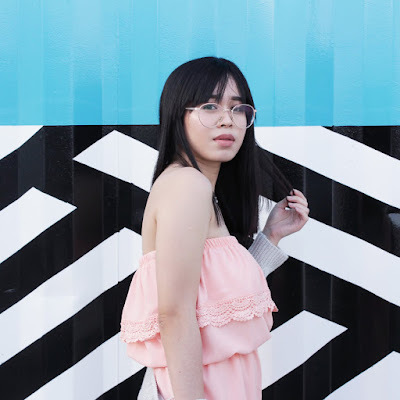 I had my hair treated by Bench Fix Salon’s L’Oreal Professional Steam Pod last February. I’ve read a lot of hair care reviews and I found out that sulfate strips off natural oils of our mane. So it’s best to use sulfate free hair products. I've been wanting to use sulfate free products for my treated hair, but I waited for my Dove shampoo & conditioner to run out. During our trip to S&R, I’ve spotted a nice colored shampoo. Yes, it’s the Marc Anthony Oil of Morocco products. I admit that the color of the shampoo & conditioner got me to buy it. Shampoo - Combat damage, breakage, dryness, dullness and frizz. Infused with Argan Oil, Keratin and Grape Seed Oil. 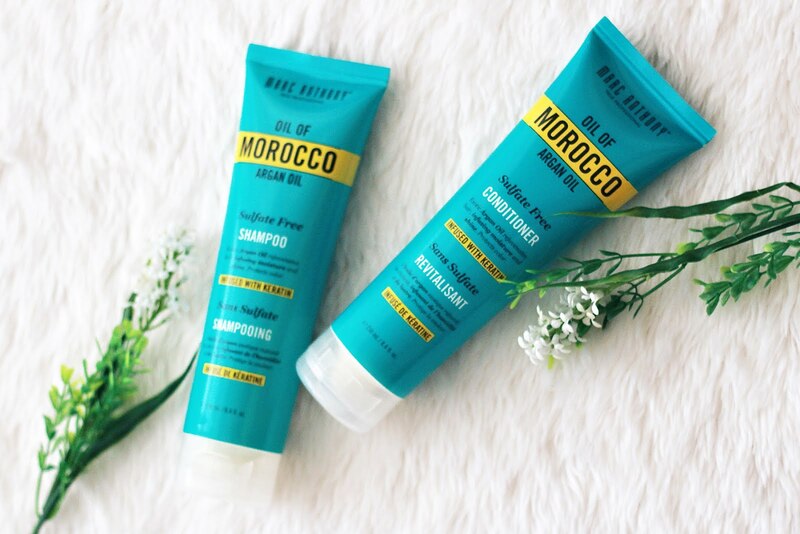 It deeply cleanses while restoring, protecting and nourishing hair. Revives shine. Conditioner - Combat damage, breakage, dryness, dullness and frizz. Infused with Argan Oil, Keratin and Grape Seed Oil. It deeply penetrates to hydrate, restore strength and add high luster. Improves manageability. I forgot to note the price in peso (so sorrry!! if you know the price feel free to comment), but once I’ve found the receipt I will update this post. I’ve researched online and the prices range from $7.99-$9. They say your hair will thank you for feeding it with argan oil, that it helps the hair to be healthy. 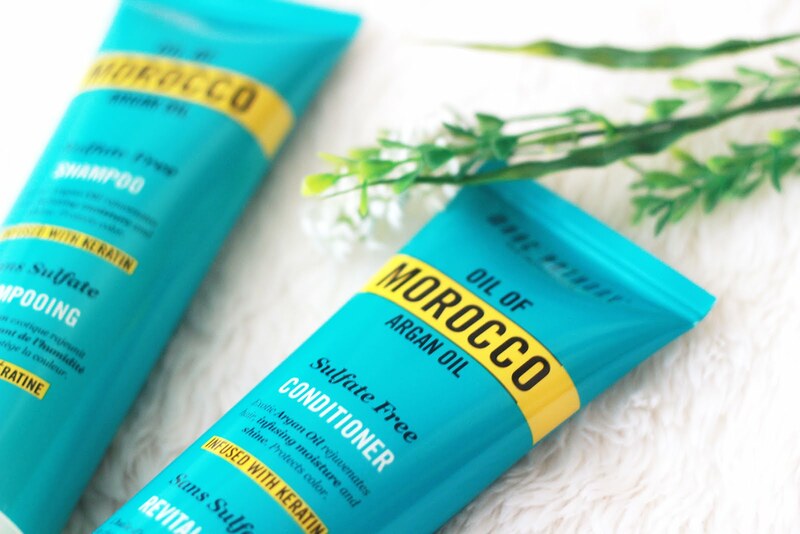 Based on my experience with Marc Anthony Oil of Morocco Argan Oil, my hair did look shinier and felt softer, although it didn’t helped with my hair fall problem. My hair seemed to love it! Note that I don’t shampoo my hair everyday as it can bring damage. My hair gets a bit ‘buhaghag’ whenever I use the shampoo (Lol, I wonder why). Btw, I’m confused with the smell of both the shampoo & conditioner, it smelled like banana and sometimes quite chocolatey. There was also a time when my brother said it smelled a bit like beer or alcohol, he didn’t liked it. Too bad.